I made a version of this Kentucky Hot Brown recipe. I’ve never had a REAL “Hot Brown” but this version looked good. I followed her recipe pretty much but I didn’t add tomatoes and I DID add American Cheese. 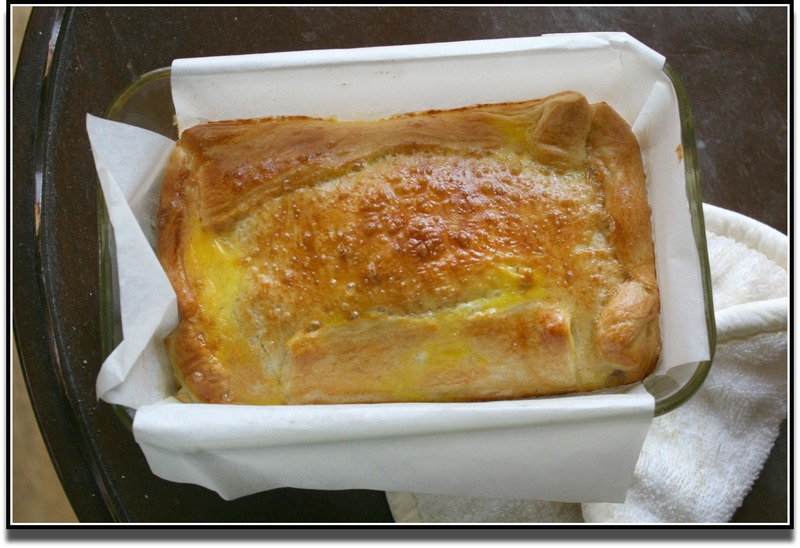 1 roll Crescent Dough….half in the bottom of the pan, half over the top. I used more so it would be a “loaf” when done. The recipe called for turkey and tomato, which sounds so delicious. I didn’t have either so I just left them out. 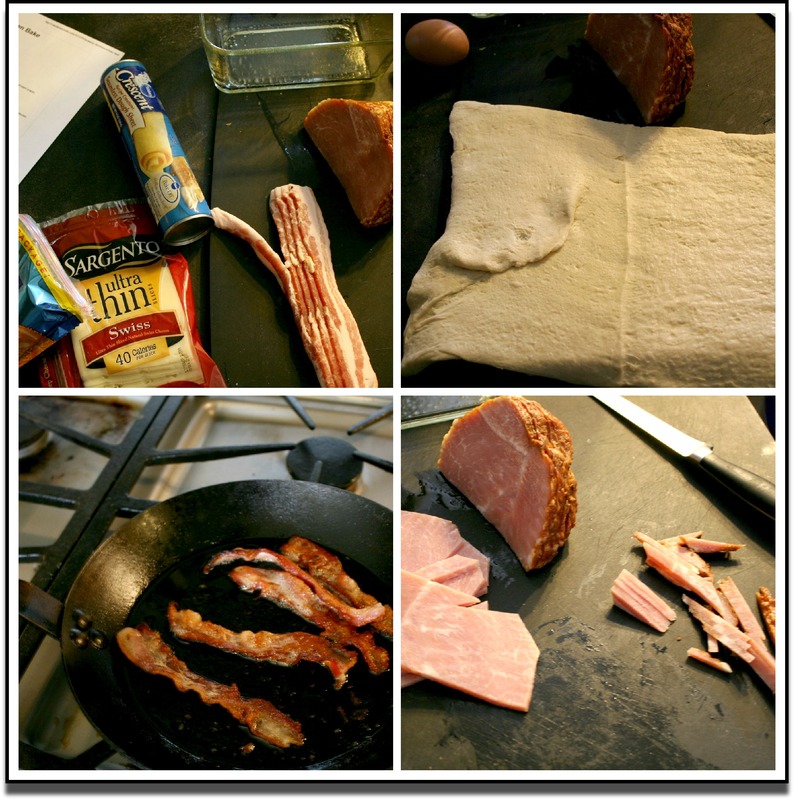 Layer Crescent Dough, Ham, Bacon, Cheese, 1/2 egg mixture, Ham, Bacon, Cheese, Crescent Roll, Rest of the Egg over the top. 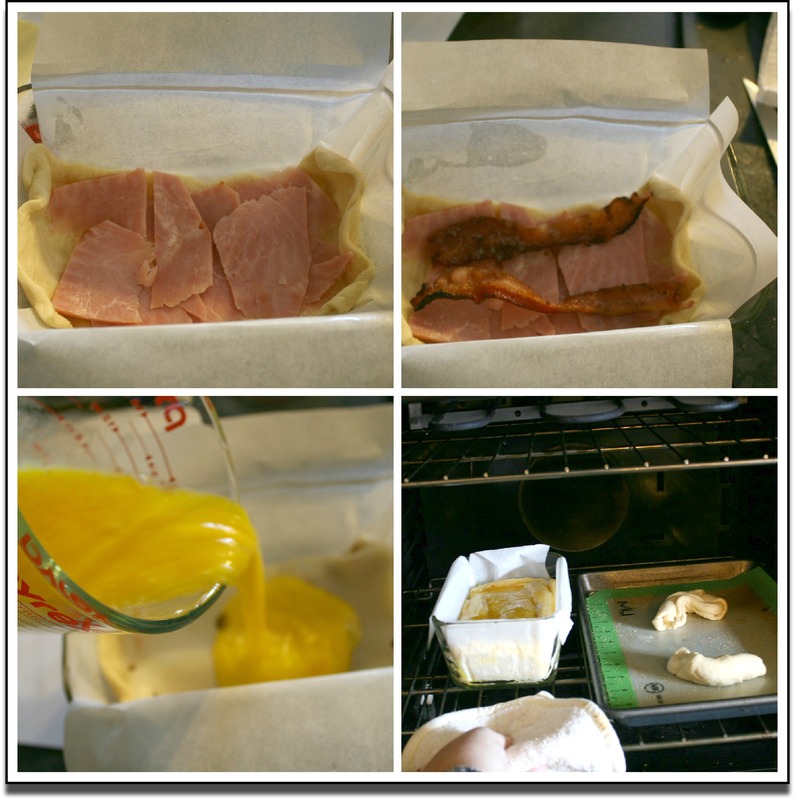 Bake in a 350* oven 15-20 minutes covered with foil and 15-20 minutes uncovered. Let rest 10 minutes before cutting into it. It was delicious! Smelled great, too. I think this would make a great Brunch item. We’ll try it at The House At The Lake some weekend. Even Matt loved it! I can see how you can use leftover meats, cheeses and vegetables in this to change it up. Yum! Thanks EatAtHomeCooks for the recipe!